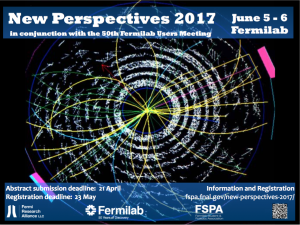 New Perspectives is a conference for, and by, young researchers in the Fermilab community. It provides a forum for graduate students, postdocs, visiting researchers, and all other young persons that contribute to the scientific program at Fermilab to present their work to an audience of peers. New Perspectives has a rich history of providing the Fermilab community with a venue for young researchers to present their work. Oftentimes, the content of these talks wouldn’t appear at typical HEP conferences, because of its work-in-progress status or because its part of work that will never be published. However, it is exactly this type of work, frequently performed by the youngest members of our community, that forms the backbone of the research program at Fermilab. The New Perspectives Organizing Committee is deeply committed to presenting to the community a program that accurately reflects the breadth and depth of research being done by young researchers at Fermilab. 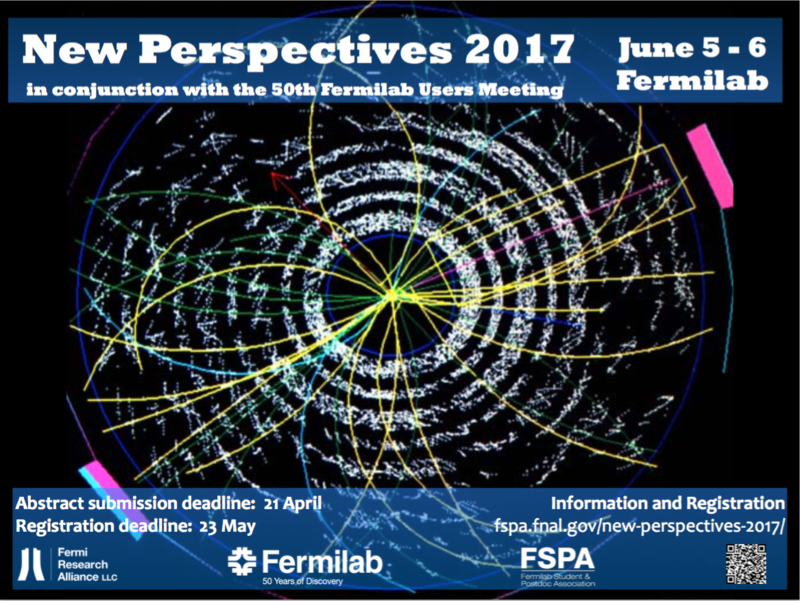 New Perspectives is organized by the Fermilab Student and Postdoc Association and serves as a preamble to the Fermilab Users Annual Meeting. New Perspectives will take place June 5-6 2017. Register and submit an abstract via the Indico page.